Located above French bistro Creperie Beau Monde, this charming, dimly lit bar plays home to a handful of performances throughout the week and a jampacked, sweaty dance party on weekends. 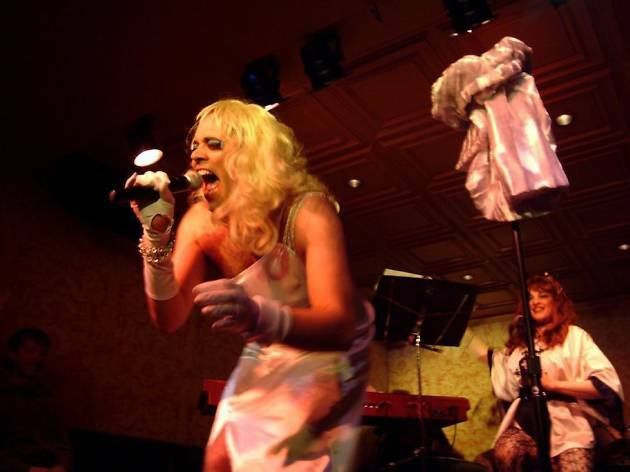 The most recognizable name on the entertainment roster is Martha Graham Cracker, the self-proclaimed “world’s tallest, hairiest drag queen” who performs a show here on the second Thursday of each month. 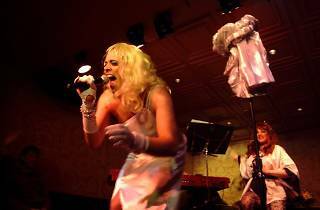 On top of that, swing by most every week for more cabaret performances, comedy nights, live music and burlesque. On Friday nights, DJ Muhammad spins one of the best dance parties in Philly, hands down, and on Saturdays, DJ Chris Urban puts on everything from soul to Spice Girls. A large bar provides well-made cocktails, beer and wine throughout every event and you can order French faire from the downstairs menu until 11pm.